We’re the creative design agency tailored specifically for small businesses. We help our clients with their branding, website, graphic design, and ongoing content management needs. We do all the work so you can focus on growing your business. We’re the agency with non-agency prices. Balyna did a fantastic job and surpassed all our expectations! As a start-up consulting firm, we didn’t really know exactly how to proceed and the folks at Balyna were so professional and guided us through the creative process. 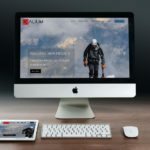 From creating copy to updating graphics to designing page architecture, it was collaborative from start to finish and the end product that they created was stunning and yet totally functional. Our competitors probably paid 2-3X the price we did and we still got the better website. I would recommend Balyna anytime! Simple Pricing. No Surprises. Tailored for Small Businesses. p.s. we ♥ what we do. It’s simple and quick. It just helps us understand your needs to provide you the best service. 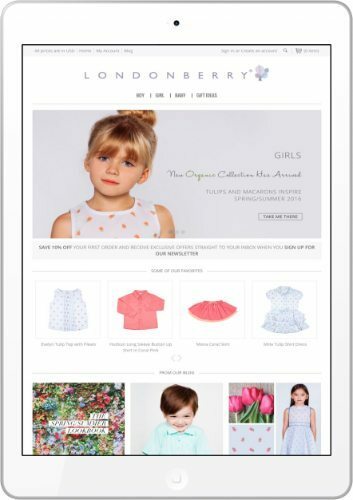 We’ve been working with Londonberry since day one. What a dream project it was to create a brand identity and online store for this California born European inspired organic designer children’s clothing brand.